JASPER -- The proposed Mid-State Corridor project is moving a step forward. 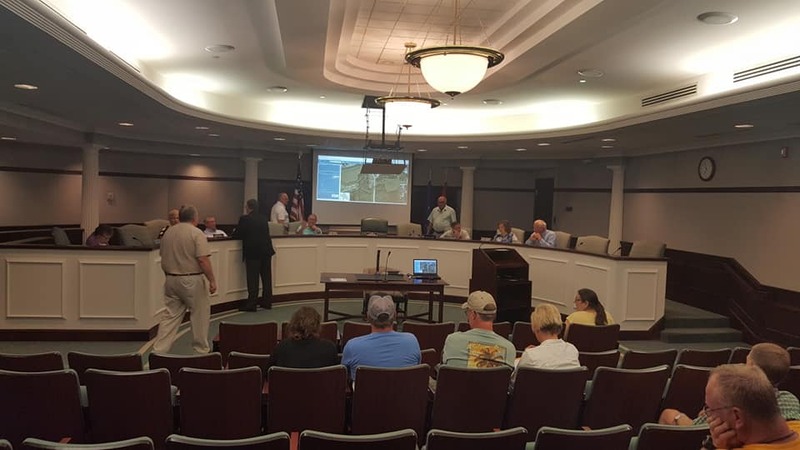 During last night’s Jasper Common Council meeting, Ed Cole from Dubois Strong updated councilmembers on the progress that’s been made, including a recent meeting between governor Eric Holcomb and members of a local group tasked with getting the project off the ground. "This has really taken a lot more traction that it did, say, a year ago," Cole told the council. "[We had] a great meeting with the governor and Joe McGuinness, the INDOT Commissioner, laying out where we want to go, how we want to get there, with the memorandum of understanding being the basis of it." Another piece of the puzzle, funding for a $7 million Environmental Impact Study.Without it, the project can’t move forward. The funding would come from a public / private partnership, in essence, making the project an entity.Cole told the common council last night, funds are already being raised to get the project off of the ground. The Mid-State Corridor connecting Dubois County to I 69 could cost $300 million to build. Officials working on the project would like to see the environmental study begin by the fourth quarter of this year. From there, a tentative timeline has the study completed by 2021. Then, Phase II studies would run from 2021 to 2023.